Our flotilla of origami boats has travelled to Dubai to celebrate Diwali on Burj Lake. On display until the end of November, Voyage forms part of the Emaar Art initiative, which aims to bring art to the wider community. 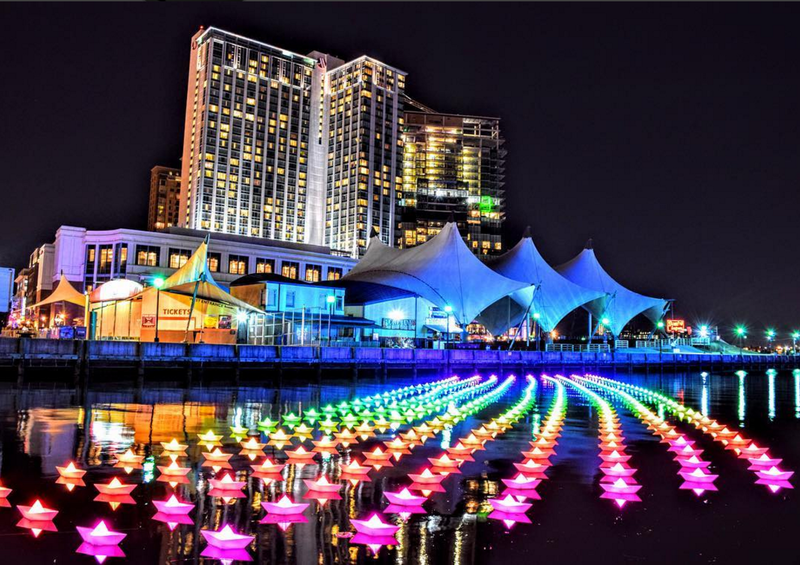 Light City returns to Baltimore’s waterfront, so will do Aether & Hemera! Fully accessible, free and open to all. April 14-21 2018. 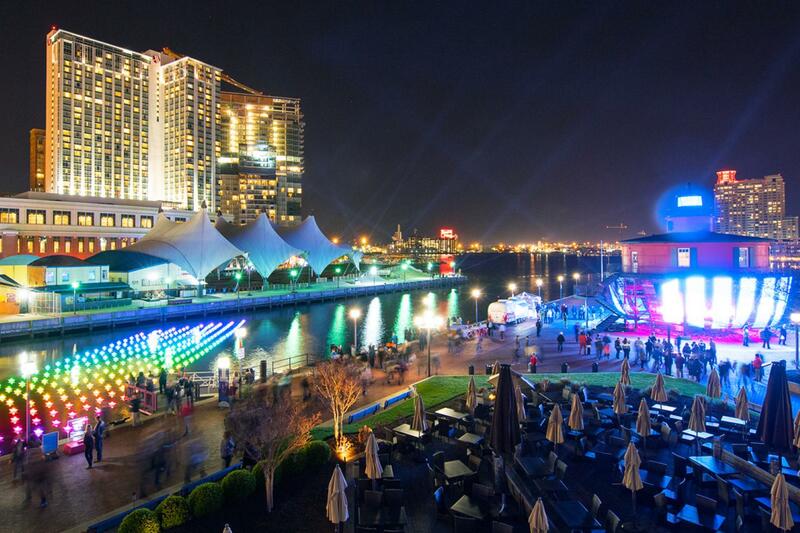 Premiering in 2016, Light City Baltimore is the first large-scale, international light festival in the United States. Light City will provide a backdrop for the celebration of ideas, ingenuity and creativity through art, music and innovation. Light City will shine a light on Baltimore’s abundance of creative, cutting-edge, multi-disciplinary talent, and at Aether & Hemera we are delighted that our installation Voyage has been selected for the festival. 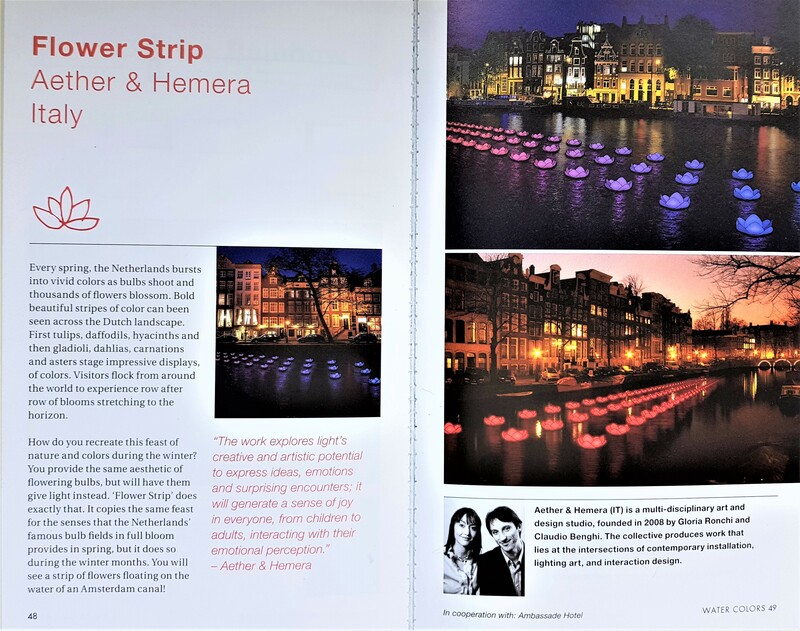 Aether & Hemera have been invited to present their work Voyage in Canberra in occasion of Enlighten 2015; from February the 27th to March the 7th our flotilla of colourful origami boats will float on the Lake Burley Griffin for all to enjoy! 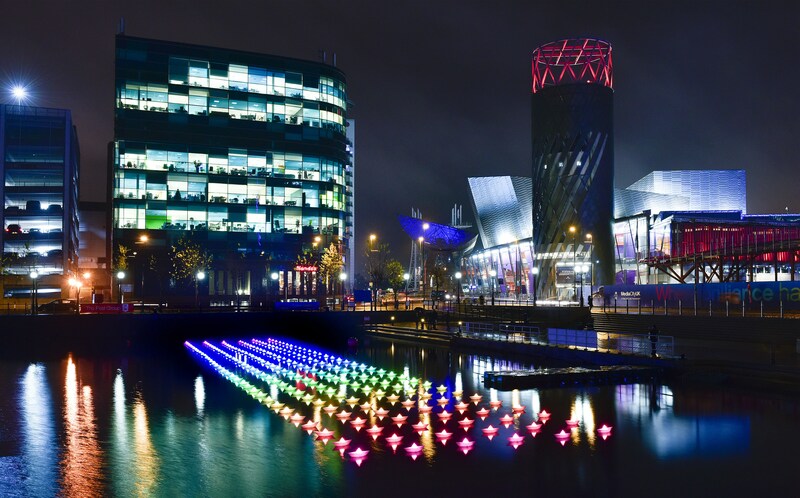 Aether & Hemera's installation Voyage 'is sailing' to Arizona for taking part to the inspiring Canal Convergence event which animates the Scottsdale Waterfront from early November. We share the same motto with Scottsdale Public Art : Live the art. Love the place. The mission of Scottsdale Public Art is to serve as a leader in defining art in the public realm through creative place-making, signature cultural events, exhibitions, and installations contributing to the community's creative, cultural, and economic vitality. At Aether & Hemera, we are interested in Xdesign for contemporary city , focusing not only on the traditional 'hard' infrastructures of buildings and engineering, but also the 'softer' infrastructures of social networks and human interactions.